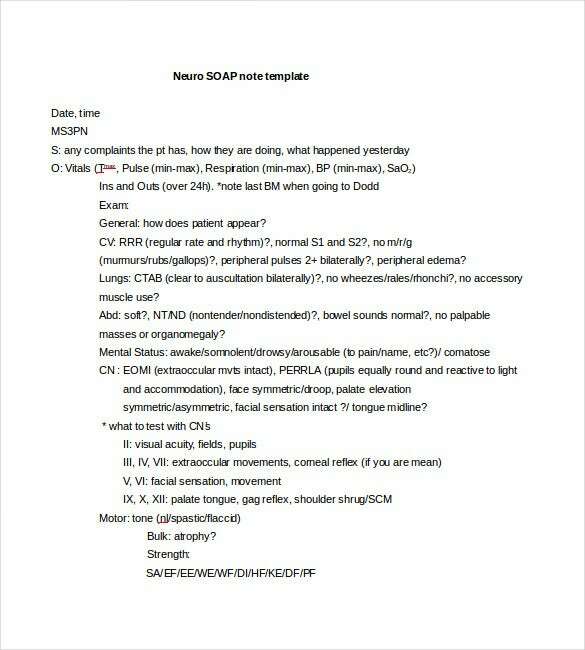 Soap Note Template – 9+ Free Word, PDF Format Download! 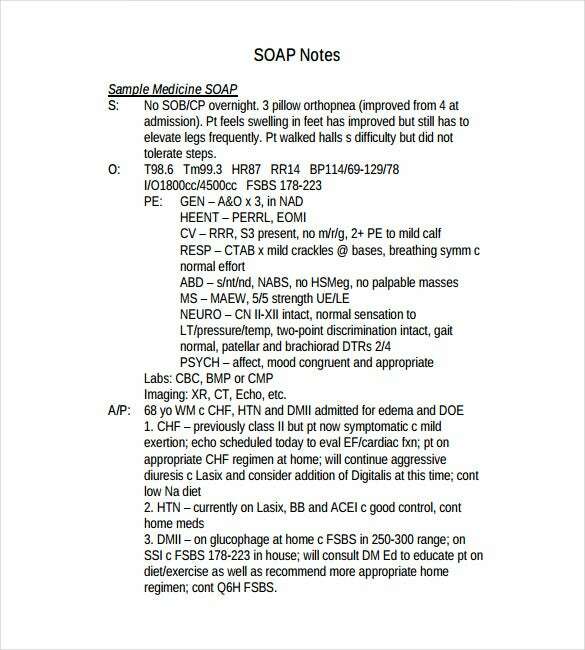 aoa.osu.edu | Neuro Soap Note is meant for any patient hospitalized with apparently neurological problems. 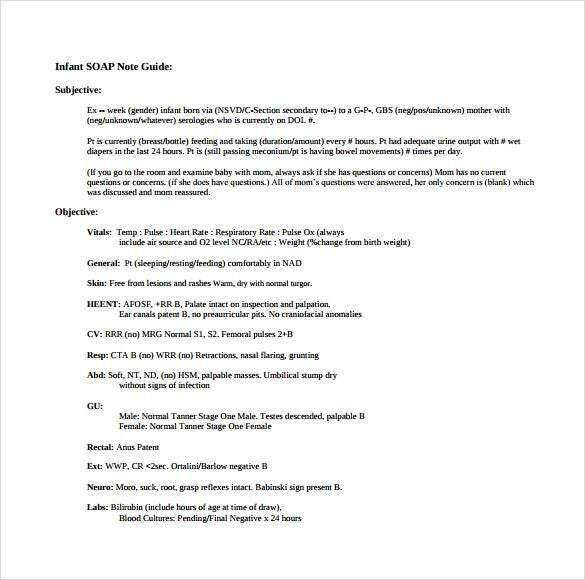 This kind of soap note is very useful in ensuring perfect treatment process and follow up the patient’s response to the treatment. Medical practitioners also take help of neuro soap note to get information about a patient’s medical history for undertaking future treatment if the same symptoms come up later. expertsintherapy.com | A perfect SOAP note against a patient’s physical therapy briefs all the relevant physical therapies and treatment process a person undergoes during his recovery period after an injury or surgery. 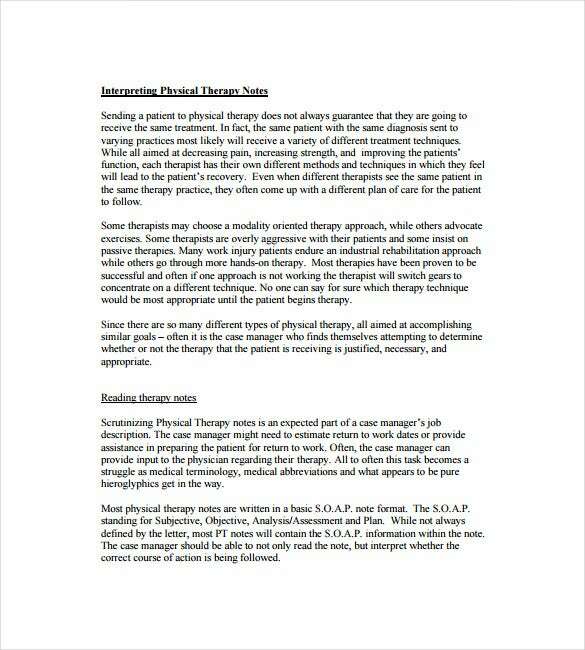 Interpreting Physical therapy SOAP note is also necessary for the employer to get information about the present health condition and probable time of reporting to the job of the ailing employee. 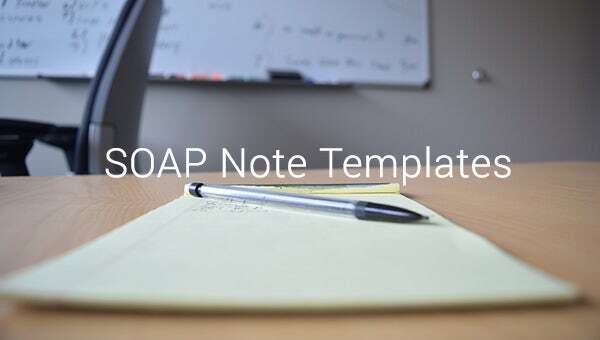 fammed.wisc.edu | SOAP note for a patient with chronic problem helps the doctor to keep a track of his or her response to a treatment process and improvement rate. This is particularly helpful for doctors to keep track of their outpatients when the doctors remain extremely busy and get very limited time to inspect detail medical history for each patient. 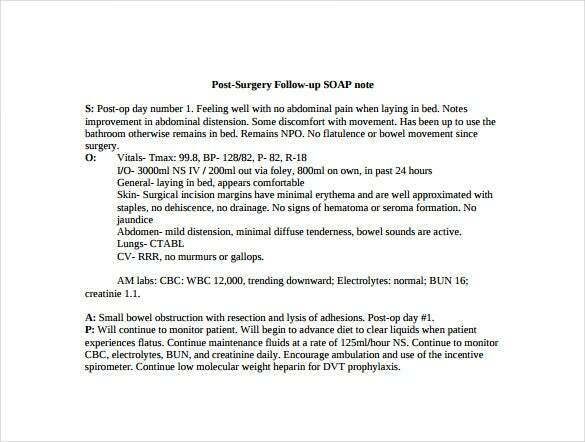 learn.chm.msu.edu | Post Surgery follow up SOAP note is very important for patients recovering after an operation but still in hospital. Doctors use all the previous SOAP notes as a quick reference to know how the patient is recovering and how the patient is responding to post operative medicines and other treatment procedures. 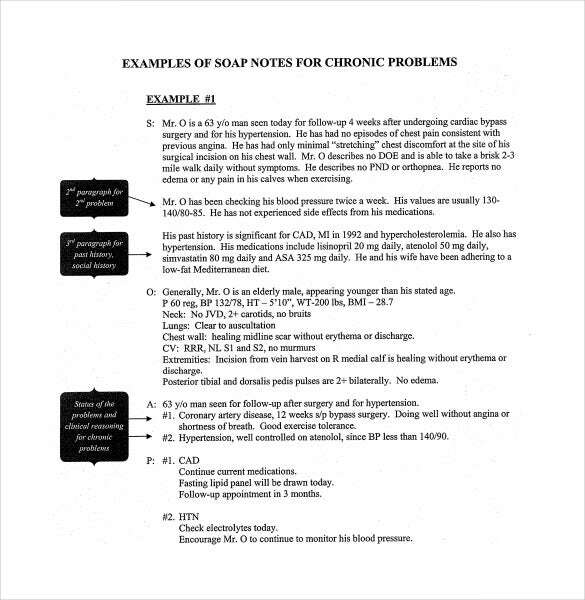 frontier.edu | Labor and Delivery SOAP note contains patient’s details like present state of her pregnancy and all related health condition at prenatal stage, probable date of delivery, any abnormality in her health or difficulties is leading normal lifestyle at that stage and treatment currently continuing. 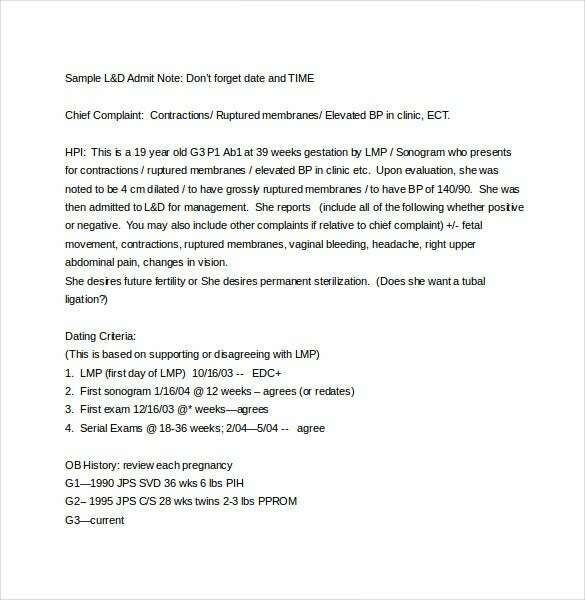 This type of note helps a doctor to quickly review all the overall situation of the patient and take decision accordingly. 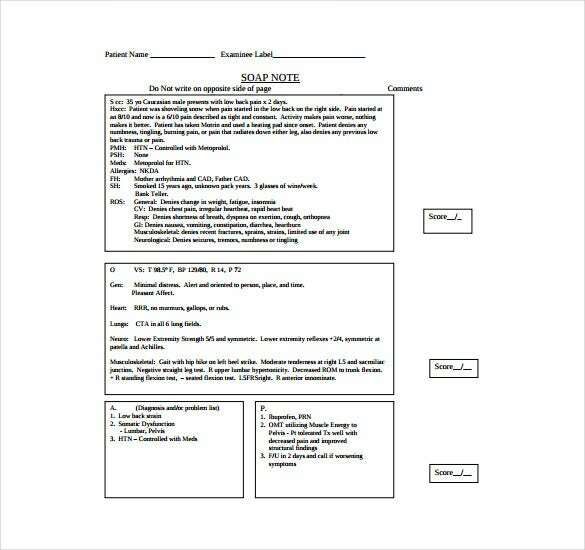 tmedweb.tulane.edu | The Medicine SOAP note is normally used to regulate medical assessment entries made in clinical records. 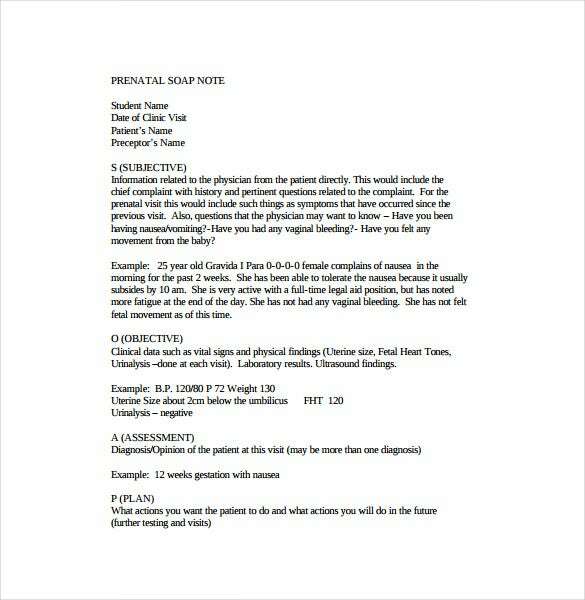 The SOAP note is written to facilitate smooth communication among the doctors in different disciplines and physiotherapists engaged in caring for the patient and to put on view the assessment, health related problems and plans of the doctors regarding treatment in an organized and in very concise mode.